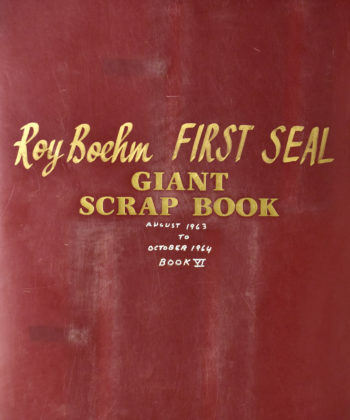 The Roy Boehm Archive, acquired in its entirety by the Library Trust in 2010, chronicles more than half a century of the military career and later civilian life of Lieutenant Commander Roy H. Boehm, USN (1924-2008). 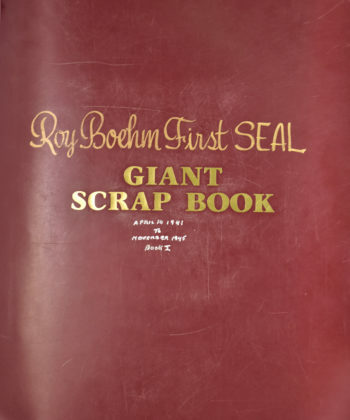 A “mustang” who rose from the enlisted ranks, Boehm served in World War II, Korea, Vietnam, and on numerous clandestine operations as a Navy diver and UDT. 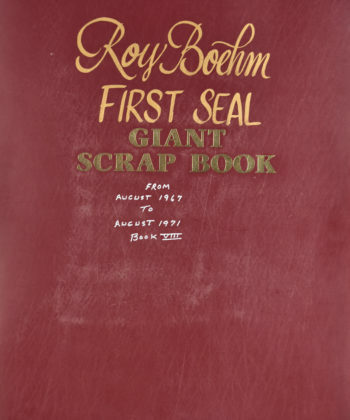 In 1961, Boehm was commissioned to develop and lead the special operations unit that would become the Navy SEALs. 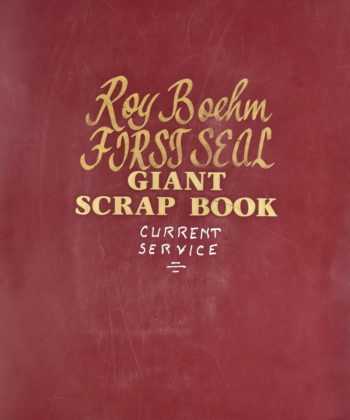 In this remarkable collection, Boehm personally chronicled his 30 years of military service through thousands of original photographs, essays, letters home, declassified reports, certificates and awards, news articles, and memorabilia. 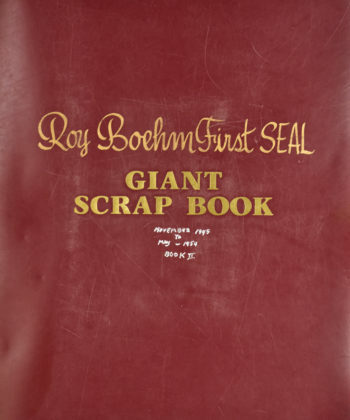 The nine volumes contain nearly 700 pages that range from his enlistment in 1941 to his death in 2008. 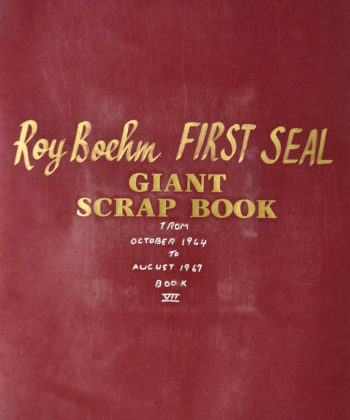 Focused primarily on his service as a diver throughout the wars, and his instrumental role in founding the SEALs, this archive provides an extraordinarily personal window into the life of a distinguished combat officer through numerous critical events in U.S. history. 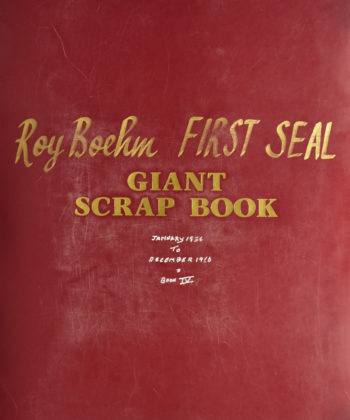 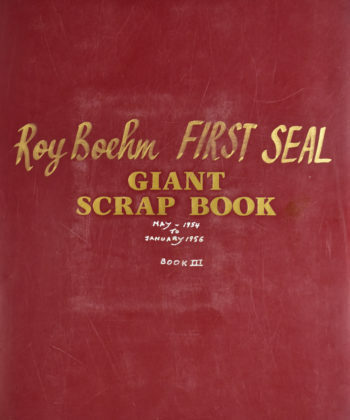 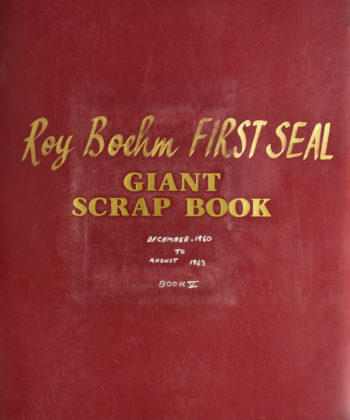 The Roy Boehm Archive was donated by John Weisman, Boehm’s longtime friend and author, consistent with Boehm’s wishes.